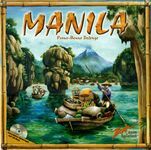 CLOSED: Auction: Up Front, Manila, Vikings, San Marco among OOP and other titles. Ends Dec. 1st. CLOSED ! Thanks everyone for participating. I will be contacting winners by geekmail as well as posting marketplace entries reserved in the winners' name. Hello. 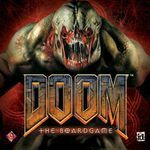 This is an auction to clear up some shelf space as well as to find homes for games which are not getting played. I have a fair number of games which I have picked up while traveling abroad. I will be sure to indicate when a game may be printed in a language other than English. 1. All games will be listed with a minimum starting bid and some will have BIN as well. Consider the starting bid to be the reserve price. 2. Shipping is from zip code: 66218. I generally prefer to send things USPS flat rate, but will ship by whatever method you prefer. I will gladly combine shipping on multiple items. I can ship immediately on BIN items or wait until the auction is finished if you have other bids pending. 3. Local pick up in the Kansas City area is also possible. I am quite flexible about how and where this can be arranged. 4. All transactions will be done via Paypal and through the BGG Marketplace. 5. This auction will run for 2 weeks and will end at some point on Dec. 1. 6. In regards to the used games, I try to give an accurate description of their condition. But please feel free to ask if you have any questions. I can happily give more detail and even send photos upon request. 7. This is my first auction and I welcome any suggestions or advice you may have. For example, if you think I have wildly over priced an item...please say so and I will re-examine it. I won't be offended in the slightest. Avalon Hill's Up Front with Banzai and Desert War expansions. The box shows some shelf wear but is in good shape. Components of all three games are in excellent condition. Currently all components are in the Up Front box, but Banzai box is present. I no longer have the envelope in which the Desert War cards and chits were mailed. NEW. Zoch Bilingual German/English version. Includes English instructions and CD ROM. This particular game was distributed in the Czech Republic by Corfix and it looks as if they have inserted a Czech language sheet under the shrink and then resealed it. (I have encountered this quite a bit in places like Czech Republic and Hungary). Nothing leads me to believe the game is not in perfect condition. NEW. Zoch Bilingual German/English version. Includes English instructions and CD ROM. As with the entry above, This particular game was distributed in the Czech Republic by Corfix and it looks as if they have inserted a Czech language sheet under the shrink and then resealed it. In addition there are a few tears in the shrink as well some slight dishing in one of the bottom corners of the box. Game components would be unaffected and should be in perfect condition. NEW. Polish Egmont edition. Game play and components are completely language independent. 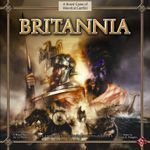 English rules available for download. Game is still in shrink but has some box damage. Some dishing along one whole side of the bottom. With the way the game insert holds the components in the box, I can't imagine the game was affected in any way. Everything on the inside should be in perfect condition. NEW. In-shrink Czech version of Vikings. Game play and components are completely language independent. 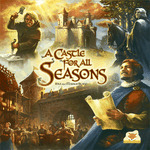 English rules are available for download. Very good condition of both box and components. Excellent condition...played once. Language independent components. Includes English rules. NEW. German language edition of the Kids of Carcassonne. Components and game play language independent. NEW. 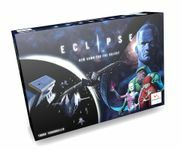 In shrink copy of Eclipse 2nd. Edition. Box and components in very good condition. Another copy of San Marco: Box and components in very good condition. NEW. In shrink copy of Mare Balticum. English rules included with game. Love the charming clay artwork in this one! NEW. 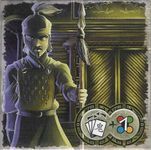 In shrink copies of Dorn plus the expansion, Koschei's Eternal Return. Despite the English on the box, this game is in CZECH language. English rules are available for download, but English paste-ups would be required for the cards. Excellent condition. 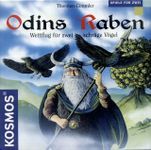 German version of Odin's Ravens. English language rules and card translations available for download. Punched but unplayed. 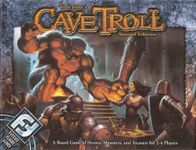 Fantasy Flight Games. Excellent condition. Very good condition...played a handful of times. The Guardhouse expansion + Chuck no Rice and B-Rice Lee promos. Good-VG condition. Some shelf wear on box, but components in fine shape. Does not come with expansion box...all components are in the base box. Excellent condition. Character cards are laminated. Punched but unplayed. Excellent condition. Very good condition of the Kickstarter edition. Includes collector's tin, Distinguished Service Pack, Dice Pouches, MGF dice. NEW. In-shrink German language version of Friedemann Friese's trick taking game. Very good condition FFG Silverline edition with minis. Excellent condition...played a handful of times.